This past Monday, the Trump administration publicly acknowledged the “fact” that North Korea indeed carried out the WannaCry attack. WannaCry, a computer worm, affected around 230,000 (some estimates say more than that) computer machines. The worst part is that the WannaCary ransomware attack managed to target computer machines in over 150 countries. But that was earlier this year. Right now, Thomas P.Bossert, who works as the homeland security adviser for the Trump administration penned an op-ed for the Wall Street Journal. Additionally, Bossert said that the WannaCary attack had widespread consequences and cost billions of dollars. He also said that the Trump administration held North Korea directly responsible for the attack. Thomas also wrote that the Trump administration did not make the allegation lightly. In fact, the Trump administration made the allegation based on evidence. Moreover, according to Bossert, the United States isn’t the only country with similar findings. On Tuesday, while talking to the media at the White House, Bosser referred to the WannaCry ransomware attack as a defining moment in the country’s history. Moreover, the WannaCary attack put a lot of money along with lives at a great risk. He also added that the US considered the WannaCry attack as reckless. And that North Korea wanted to cause destruction and havoc. Explaining to the reporters at a news conference, Bossert dew a connection between the development of North Korea nuclear weapons and the alleged cyber activities. He said that at the current point he thought that North Korea had clearly demonstrated that the country wanted to harm the entire world and put it at risk. Bossert added, that the country looked like it wanted to do so either via cyber attacks and/or its nuclear program. Thomas Bossert also acknowledges that the United States of America had very few options left to implement against countries such as North Korea. He also said that the United States of America did not want to pressure the already isolated North Korea to alter its behavior via methods such as starving its citizens and/or attacking the country outright. Thomas pointed out that North Korea already represented the country with the heaviest sanctions around the world. US officials say that North Korea’s actions are pushing it to punish the already isolated region even more. Nonetheless, Thomas though, the US considered it important to call out North Korea publicly. Bossert also said that the US would not hold back from holding North Korea responsible for WannaCry ransomware attack. And that the US would also continue to say so. Moreover, the US would shame North Korea for such actions as well. Many security experts had already suspected North Korea of creating the WannaCry virus. These security experts also believed that North Korean hackers paired the virus with a ransomware. This ransomware encrypted all the data that it could find on the victim’s computer. And then it demanded some form of payment from the victim in order to restore access to the encrypted data. Before last Monday, the United States government had not officially and publicly stated the things it did on Monday and afterward. Back in June, one The Washington Post report said that the NSA, or National Security Agency, had managed to find links which lead them to believe that North Korea had played a significant part in creating the worm. Then in October, media reports published that the British government also officially declared North Korea as the culprit in the whole situation. In November, the CIA came out and issued its own classified assessment. Previously, the agency had not disclosed that information to any reporting outlet. This past Tuesday though, a British Foreign Office representative said that North Korean actors indiscriminately used the WannaCray ransomware and it showed that they used the country’s cyber programme to actually circumvent sanctions. Moreover, the British Foreign Office representative also said that the Foreign Office made the decision to publicly attribute the WannaCry ransomware attack to North Korea because it wanted to send a clear message that the United Kingdom along with its allies would not tolerate any malicious and harmful cyber activity. Thomas Bossert also credit two United States based technology corporations in the form of Microsoft and Facebook. For acting promptly last week in order to disable all North Korean accounts. Bossert also issued an official broad call to all United States companies. He wants them to help the government defend the United States of America along with its allies against any and all future cyber attacks. Bossert also added that he had heard some comments talking about how defending the cyberspace was impossible and that vicious hacker attacks are inevitable. Bossert asserted that he disagreed with such viewpoints. He said that the industry must work with the government more than ever at this point in time if the United States, as a nation, wanted to get serious about cyber attacks and hacking. The United States government has also released all the technical details regarding the North Korean attack. The tools North Korean hackers used. The United States government has also worked with the governments of other countries to lessen the ability of North Korea to conduct more tests and generate more illicit funding. Some of the readers might already know that the May 12 global cyber attacks hit some very critical sectors. The WannaCry ransomware attacks hit Britain’s National Health Service the hardest. The WannaCry ransomware isn’t an ordinary ransomware. Media reports said that the WannaCry ransomware attacks did not affect the United States as badly as some of the other countries. But that doesn’t mean it didn’t hurt the United States at all. The WannaCry ransomware attacks did manage to disrupt some systems. North Korea, an already reclusive country, follows a very disruptive pattern of carrying out harmful cyber activities. The country’s leader, Kim Jong Un, has specifically pushed the country to develop its hackers forces. North Korea sees such initiatives as a high-impact but low-cost tools. Tools to rattle the nerves of more powerful countries such as the United States of America. Not to mention, North Korea has also attempted to damage the systems of other countries via its hacking endeavors. Back in November of 2014, North Korean hackers targeted Sony Pictures networks. Hackers disrupted the company’s computer systems. They also managed to steal and then release corporate messages in the form of emails. After doing so, these hackers demanded that Sony Pictures studio must cancel its release of a film which depicted Kim Jong Un’s assassination. The film was meant to be a form of satirical content. But North Korean hackers did not let up. And hence the Obama administration had to launch more economic sanctions on North Korea. One US official said that the WannaCry ransomware attack demonstrated the significance of elementary cyber hygiene. The official said that users and corporations should keep their systems patched up. They should also make sure that all their software applications are always up to date. Perhaps this is a good time to mention that the official did not have the authority to speak on the record. Regardless, the official gave listeners some clear advice. This US official also stressed the need for deeper cooperation programs between private and public sectors in order to share information, mitigate and prevent all forms of cyber threats. As expected, lawmakers from the Democratic party have criticized the apparent disparity. Disparity between the Trump administration’s official response to the North Korean hacking activities and the Russian hackings. The Russian hackings that took place during the 2016 US presidential campaign. that President Trump was handling the given intelligence assessments related to Russia and North Korea completely differently. He said that the Trump administration first staged an elaborate media rollout in order to press on issues such as sanctions on North Korea. But at the same time, the Trump administration discredited the intelligence assessments given to the administration by these very same intelligence organizations. When they mentioned that Kremlin had indeed interfered with the US general election. that the United States government’s official and public shaming of a country such as North Korea was another step in establishing the significance for consistently attributing important cyber attacks on criminal groups. He also said that the attribution of the attack to North Korea also raised public awareness about the country’s growing and effective offensive capabilities. At least when it came to cyber attacks. According to Alperovitch, one could date back North Korea’s hacking operations to at least a decade if not more. The hacking operations of North Korea started with espionage. Then it evolved into destructive online attacks. But in the last couple of years, the country’s cyberattack win had also moved into cybercrime. In these activities, the country engages bank heists and targets individuals and companies with ransomware. 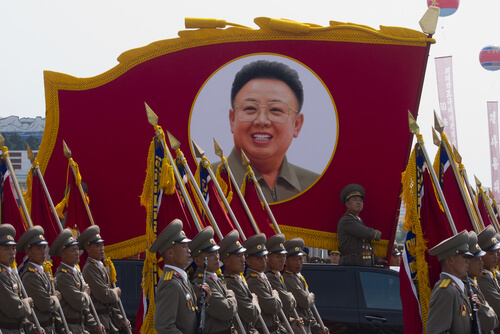 Alperovitch’s firm has managed to track North Korean cyber threats for the past many years. Dmitri also said that North Korean hackers very much had the capability to develop zero-day, or previously unknown, viruses and exploits. They also happen to have their own and unique malware code snippets. Moreover, he said, because of such capabilities, North Korean hackers posed a huge threat to organizations all over the globe. 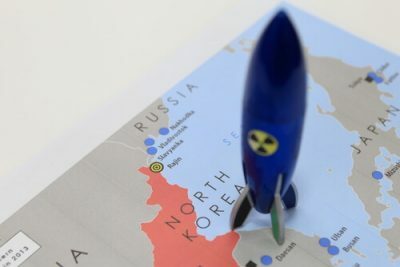 And as the tensions between North Korea and the United States over the country’s missile and nuclear programs escalate, things may get even worse.